It is convenient to travel to/from Beijing. Beijing, the capital of China, has a highly developed transportation system for traveling to and within the city. 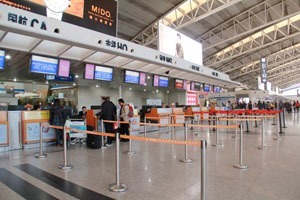 It is convenient to travel to and from Beijing by air or train. The variety of transport within Beijing offers great convenience and a comfortable travel experience there. 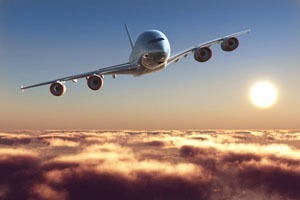 There are two airports in Beijing: Beijing Capital International Airport and Nanyuan Airport. Most domestic and international flights arrive at and depart from the Capital International Airport. Capital International is the largest airport in China, the busiest in Asia, and second busiest in the world in terms of passenger output. It is about 25 kilometers (16 miles) northeast of central Beijing. The Airport Express is a subway line, 28 kilometers (17.4 miles) long. It links Dongzhimen (东直门) and Terminal 3 and Terminal 2 of Capital Airport, via Sanyuanqiao (三元桥). Its highest speed is 110 kph (68.4 mph), and it only takes about 20 minutes from the airport to Dongzhimen. The ticket price is 25 yuan. At Dongzhimen, passengers can transfer to Line 2 or Line 13, or at Sanyuanqiao transfer to Line 10. The airport shuttle bus runs every 30 minutes from 05:30 to 20:00, and covers different routes, including to Beijing Railway Station. It costs 16 yuan (about $2). A more convenient way is to go by hotel shuttle. Most major hotels have this service. When making a hotel reservation, be sure to ask about the hotel’s airport shuttle bus service. Legitimate taxis form a long queue outside the Arrivals Hall, but taxis move quickly so you won&apos;t need to wait long. At the head of the line a dispatcher will give you your taxi&apos;s number, which is useful in case of complaints. The charge will be at least 100 CNY, but pay according to the meter, which includes an expressway toll of 15 CNY. After 23:00, you will pay more. Learn more about How to Get Beijing City from Beijing Airport. Buses from Beijing Capital Airport to Tianjin are available. They depart from Gate 15 of T2 and Gate 1 of T3. The fare is 82 yuan per person, and it takes about 2 hours and 45 minutes. Buses run from 07:00 to 23:00. The bus service from Tianjin to Beijing Capital Airport departs from Tianjin Tianhuan Bus Station (天津市天环客运站). Buses run from 06:00 to 18:00. The best way to get from Beijing International Airport to Beijing City is to use our comfortable airport transfer service. We provide you with a private English-speaking guide and driver. Our guide will meet you at the exit of the airport with your name on a sign. He/she will be on hand to help all the way from the airport to your hotel. We are experienced in dealing with unforeseen circumstances such as lost luggage tracing, visa problems, etc. There are four main railway stations in Beijing: Beijing, Beijing West, Beijing South and Beijing North. It is convenient to travel from Beijing by train to other major cities. Bullet/high-speed trains often depart from or arrive at Beijing West or Beijing South. Both stations are huge and we suggest you get to the station 2 hours before departure, as there may be long queues for collecting tickets, security checks, and check-in procedures. Bullet trains are convenient for travelers from Beijing to nearby cities. 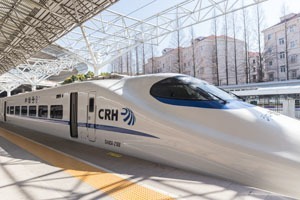 Flights and bullet trains are both convenient for travelers from Beijing to nearby cities, such as Xi’an and Shanghai. See below for bullet trains (and times) between Beijing and Tianjin, Xi&apos;an, Shanghai, and Hong Kong. Beijing–Tianjin takes about 30 minutes. Beijing–Xi&apos;an takes about 6 hours. Beijing–Shanghai takes about 5 hours. Beijing–Hong Kong takes about 9 hours. Search the train schedule and contact us if you need any assistance on ticket booking or transfer service. Tianjin Cruise Port is about 200 km from Beijing Capital International Airport. Passengers can first take an inter-city bullet train from Beijing South to Tanggu Railway Station in Tianjin, then take a bus (No. 102, 6:00–21:00) or taxi to the port. China Highlights provides pick up and transfer service between Beijing and the Port, which dispenses with any hassle. We can also combine tours with transfer services. Read here about how to get from Beijing to Tianjin Cruise Port. A private transfer is the most convenient way to get to the Great Wall. 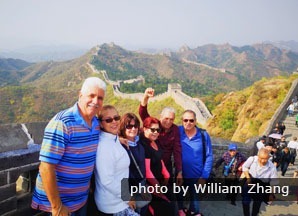 If your layover in Beijing Capital International Airport is more than 8 hours, you can consider taking a Great Wall Layover Day Tour. It takes 1.5 to 2 hours to drive from Capital International Airport to the Great Wall, depending on which section of the wall you’d like to visit. If your time is limited, the Mutianyu section is the best option. It is just a 66-km drive from the airport. There is no direct public transport from the airport to the Great Wall. You can take a taxi or rent a car. For a more hassle-free and efficient trip, we recommend you book a private tour with a private guide and driver, as your time is precious. Learn more about How to Get to the Great Wall from Beijing City/Airport. If you want to try public transport from downtown, you can take bus 877 or train S2 directly to Badaling; or express bus 916 to Mutianyu, transferring at Huairou. The big challenge might be that there is no English service on the buses. Pre-arranging a car and driver is highly recommended. 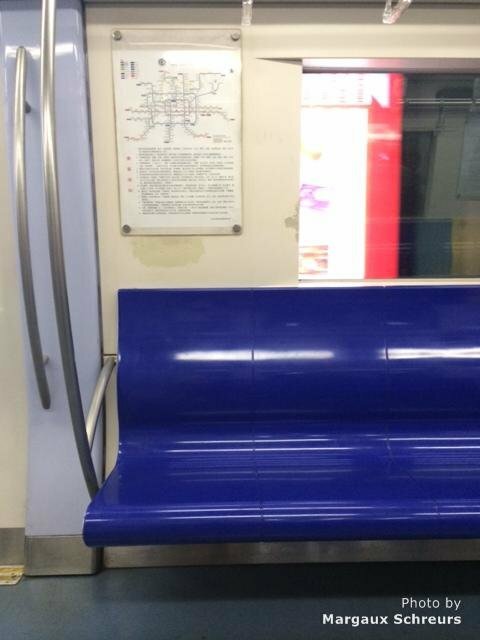 The Beijing Metro is an efficient way to see the popular areas of the city. The subway system is well-developed in Beijing, with 22 lines. It is quick and cheap to travel by subway in Beijing. It is often crowded, however, especially during rush hour (roughly 7.30 am to 8.30 am and 6 pm to 7 pm). Fares range from ¥3 to ¥8. Subway lines 1 and 2 are the most useful for tourists. 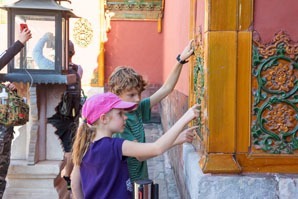 You can take them to the Forbidden City, Tian’anmen Square, the Drum Tower, the Lama Temple, the main train station and shopping hubs like Wángfǔjǐng. 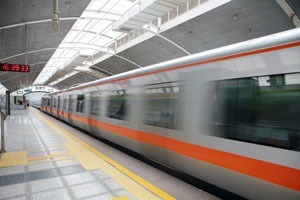 Read more about the Beijing subway. You may use 3 sightseeing buses: tourist buses 1, 2 and 3. Buses 1 and 2 do clockwise circuits of the Forbidden City and Tian’anmen Square. Bus 3 can take you to see the Bird&apos;s Nest and Water Cube in Olympic Park. The fare is about 10–20 yuan. There are many taxis in Beijing, but they are still hard to find during rush hour. The minimum charge is ¥13. If your spoken Chinese is not so good, bring the name of your destination in Chinese characters. The Beijing Transportation Smart Card can make buying public transport tickets easier for tourists. The card is available for use on the subway, city buses, some taxis (which carry the sign ‘Welcome to Use IC Card’), and the airport express train. 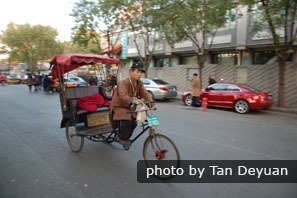 Rickshaws can be found in the hutongs. They offer a unique way of exploring the narrow alleys. You should agree on a price with the driver before starting a journey. Sometimes the rates are higher than taxi rates, especially during holidays. Our hutong private tour not only allows you to take a rickshaw ride through the hutongs, but also leads you to visit a local family to find out about old Beijing. 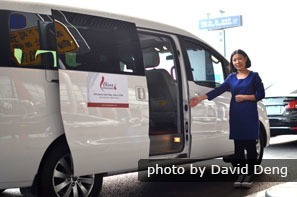 Even though the transportation is well-developed in Beijing, the most convenient and efficient way to travel around the city is still to take a private tour with a private guide and driver. By doing so, you can make the most of your time sightseeing, without getting lost or needing to navigate. And you can control the pace of travel. 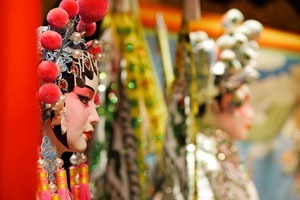 Send us your interests and preferences and let us take the hassle out of planning your travel in Beijing. Travel with us and enjoy your Beijing tour at your own pace. 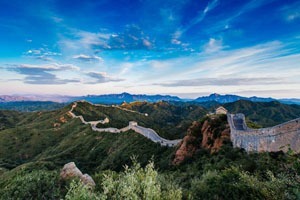 Beijing Great Wall Layover Tour (10 hours)—make most out of your transit time in a worry-free way. 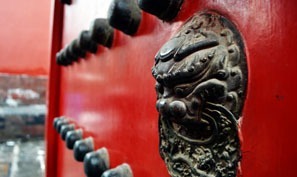 1-Day Beijing Highlights Tour — Visit the Forbidden City and the Great Wall at your own pace. 4-Day Emperor&apos;s Tour of Beijing — This 4-day tour is designed to be flexible, without missing out on the must-sees.